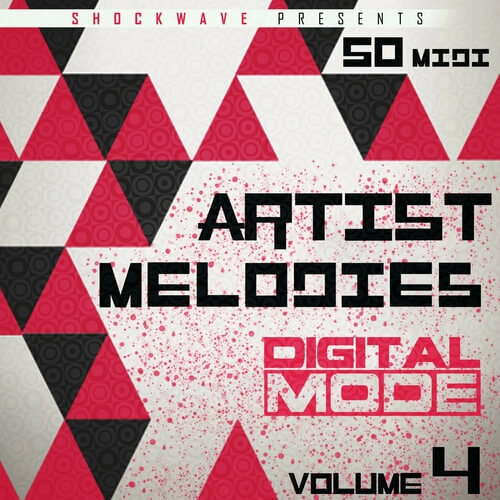 ‘Artist Melody: DigitalMode Vol 4’ from Shockwave’s Artist Melody series brings you yet another 50 Royalty-Free MIDI loops and lead loops made by DigitalMode; a top Polish producer of uplifting EDM melodies and festival anthems. All of these loops are suitable for EDM, Festival House, Big Room, Progressive House, Swedish House, and many more styles of electronic music. ‘Artist Melody: DigitalMode Vol 4’ includes 50 MIDI loops and 50 Lead loops, ready to use in your personal or commercial productions at no extra cost to you.